Are you looking for a motherboard or mainboard repair? We offer complete component level repairs with a full motherboard and mainboard service solution. Whether your laptop or desktop is not powering on, your server won’t detect it’s RAID controller, or there are some other issues, a mainboard service may be required. 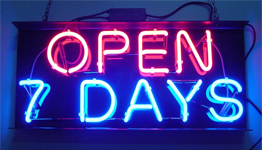 Our 7 day service centre can help you today so contact us on (02) 9698-944 and let us know how we can assist. For mainboard and motherboard repairs the most common issue is display and power issues. More often than not, this is cauased by a faulty capacitator and/or a problem with the integrated graphics chip. Typically we can service the board, including the graphics chip, and get the laptop up and running again. If we cannot get the system to an operational state we can advise of any data recovery solutions that may be applicable ro any other options you may have. Contact us 7 days on (02) 9698-9644 or support@erepairs.com.au and you can view our full opening and location details by clicking here.